What do men and women think about dating in 2014? Do they think the same? Don’t think too hard about it, because the answer awaits you. 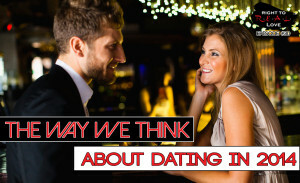 Listen to the latest episode of The Way We Think and find out right now whether men and women think differently or the same about dating in 2014. If you know someone who will enjoy listening to this or who can benefit from it please share it with them, by pressing ‘click to tweet’ below. Do you believe men and women think differently or the same about dating in 2014?